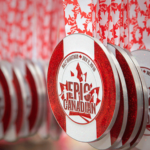 We were overwhelmed by the positive response to the first of the “CANADA” medals! How do I get my C-A-N-A-D-A Medals? If you missed the 2018 races or plan to compete in one of the 2019 races instead of the Epic Double-In-A-Day/ Goodr Epic Double-In-A-Day (which automatically gets the “A”) then you can get your C-A-N-A-D-A medals by registering for a virtual catch up race that will include a race bib and medal depending on the one you need. Participants can complete the 5K distance on their own, simultaneously with running another event, or during one of our [email protected] Social runs starting May 7th and occurring every Tuesday in May and June from 45 Graham’s Grove, Dartmouth. 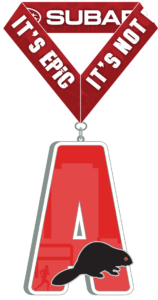 Participants will receive their Canadian ‘A’ or “C” medal and a custom event bib – either during 2019 race kit pick up (the week prior to our 2019 event), mailed with their 2019 Virtual race kit if they are participating in our virtual event, or by special arrangement in advance at one of our [email protected] Social runs. 3 medals: Maple Leaf 10K , Canadian 5K, and 2019 CANADA medal! You are still able to participate ‘Virtually’ from anywhere in the world. Virtual Kits will be shipped the week of June 10th, so while we cannot guarantee that you will have your virtual race kits on July 1st it is our expectation that you will. At EPIC Canadian, we take our swag very seriously. Wait, there is more! 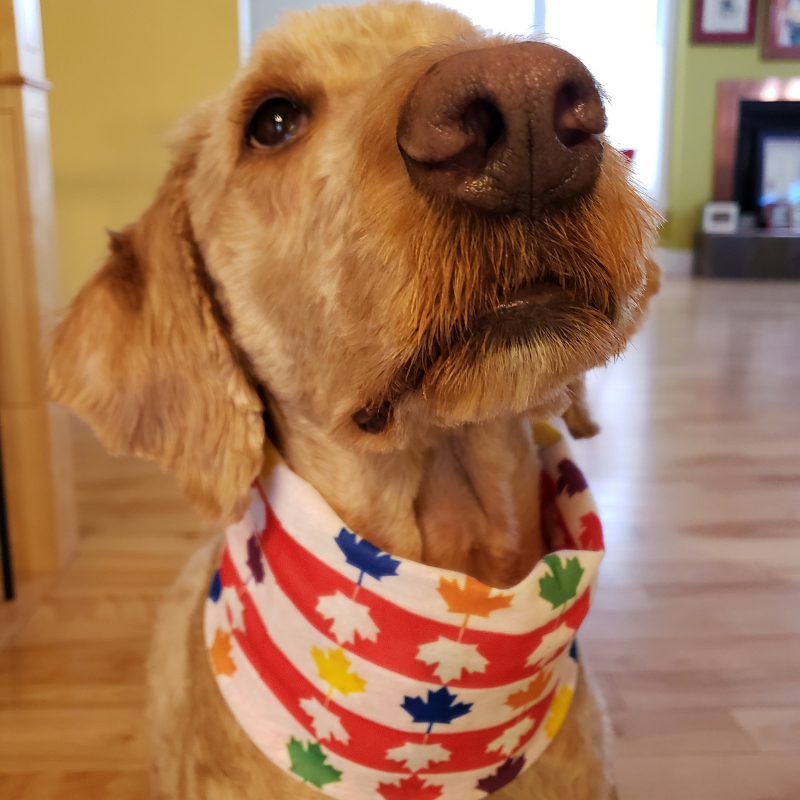 EPIC Canadian also offers these great race wraps in every race kit- modeled by our very own EPIC pup, Sewanee. In addition to our usual Double-In-A-Day category featuring one shirt, two races and three medals, we’ve found a way to make it even Goodr. The EPIC Goodr Double-In-A-Day adds a custom designed pair of Epic Canadian Goodr sunglasses to the race kit. Please click to enlarge images! Please click to enlarge image! 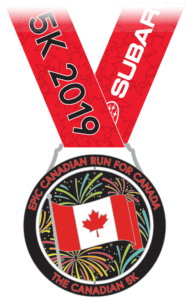 Now, here at EPIC Canadian, we love a good 5K! This distance is perfect for runners new and old, and if you’re a walker – well, you’ll love this! We all know how beautiful Canada is, but did you know Dartmouth is also known as the City of Lakes? 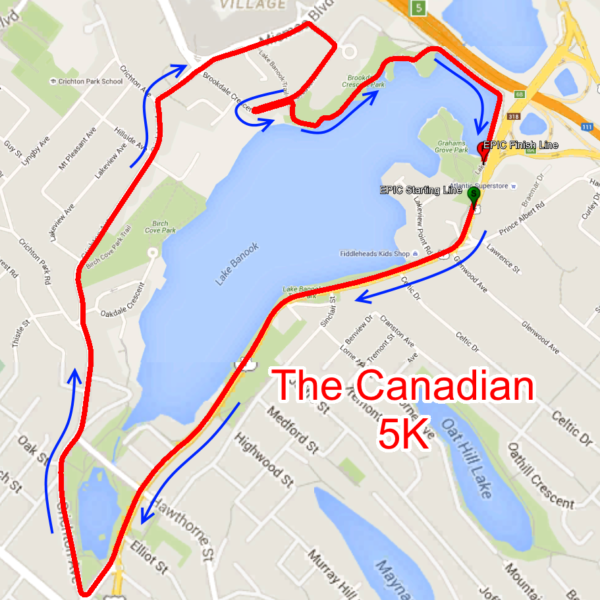 Well, armed with that information we just had to take you around Lake Banook for this course! 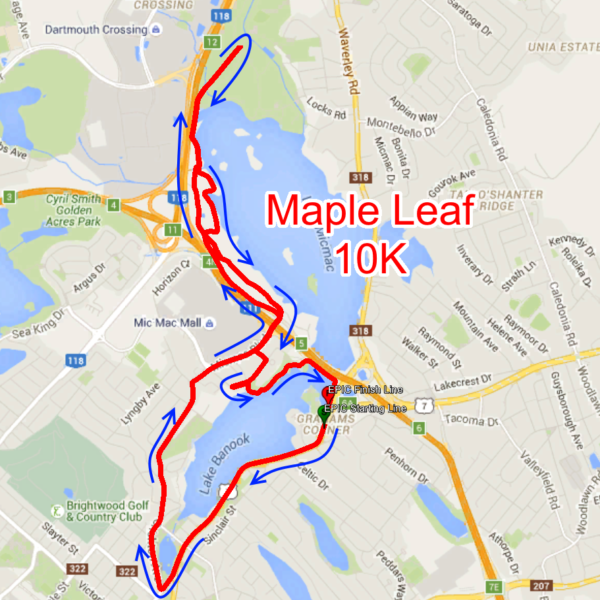 For our EPIC Canadian Maple Leaf 10K, you don’t get to run alongside just one of our beautiful lakes, but two! If you’ve been a dependable 5K-er, maybe 2019 is your year to push yourself and do that 10K you’ve always wanted to do! With cheering crowds along the way, this is not one to miss. 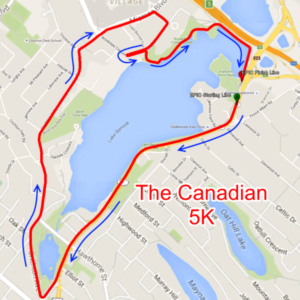 Want to take part in this year’s EPIC Canadian event, but can’t join us at Lake Banook on Canada Day Weekend? Why not join us ‘Virtually’? We package up the same race kit that you would receive if you were here in person! Just register prior to June 1st, so we have time to ship your race kit to you, and be sure to select the correct shipping option when checking out – it’s that easy! 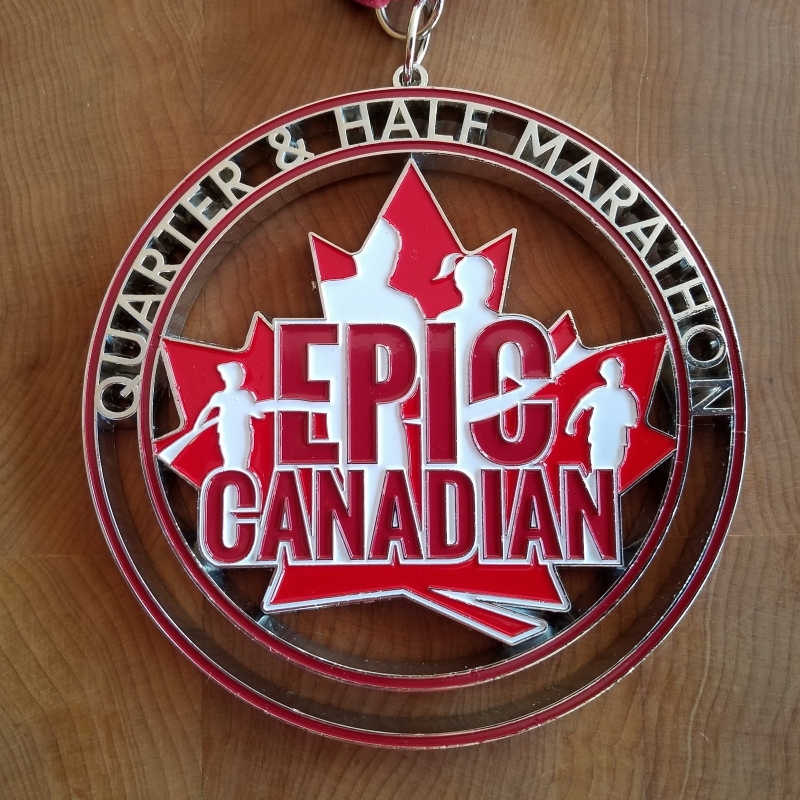 We will use the same race format EPIC pioneered within Canada in 2014, the EPIC Double-In-A-Day: two distances, back-to-back, 90 minutes apart, for a total of 15K, with the additional challenge of posting your best total time for the 15K distance as well. We’ve done some of the leg work so that you don’t have to! Hearthstone Inn is our host hotel and the place to stay if you would like to be a mere 200 meters from the Epic Canadian start & finish line at Graham’s Grove. Plus, your race kit pick up will happen here. Celebratory food or drinks can be had at Reilly’s Lounge which is open 4pm-9pm with all day breakfast and six burgers to choose from right in the hotel! Room Rates for June 29-30th are: $139.99 which includes hot buffet breakfast, high speed internet, free tea/coffee in lobby 24/7, free parking, microwave and fridge in all rooms. Call 800-422-8025 to book your room and indicate you are a EPIC CANADIAN for this rate. This hotel will sell out fast so don’t wait to book. Race Day Kit Pick Up onsite race morning (7:00am until race end). We are excited to again have the best possible parking for a big run in the City! Parking for EPIC Canadian is truly EPIC. Due to our race being on a holiday, you can park right across the street at Superstore (with ample parking), and there is even street parking close to the race course! We’ve probably got the answer below! 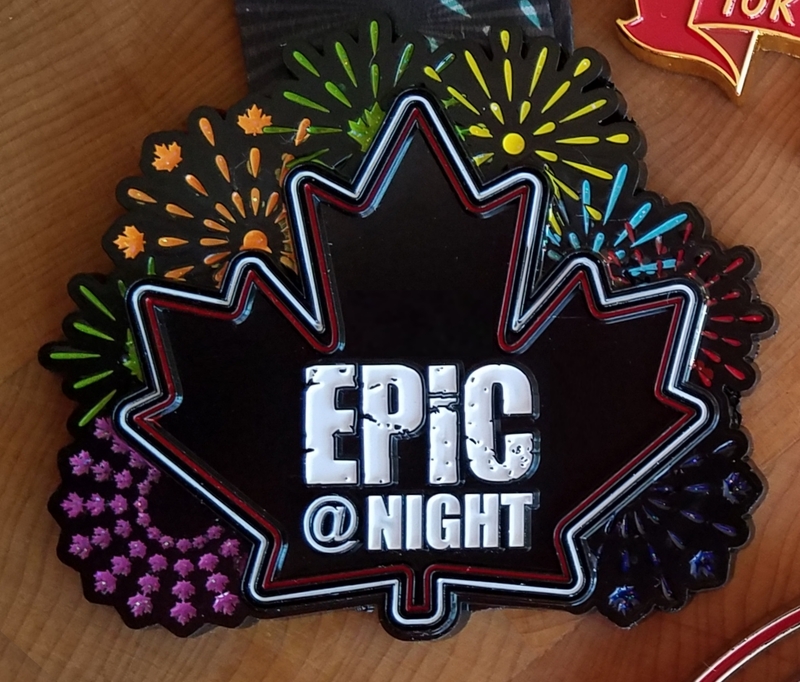 When is the Epic Canadian Run for Canada? 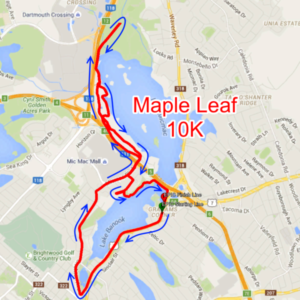 Monday, July 1st, at 8AM for The Maple Leaf 10K, followed at 9:30AM by The Canadian 5K; race in both for the Epic Double-In-A-Day. 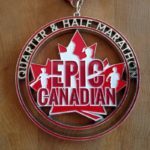 Are there multiple days to participate in Epic Canadian Run for Canada? Over the next set of years, Canada Day itself moves away from the weekend, becoming a standalone holiday, and moving through the middle of the week (Monday, Tuesday, Wednesday, etc). 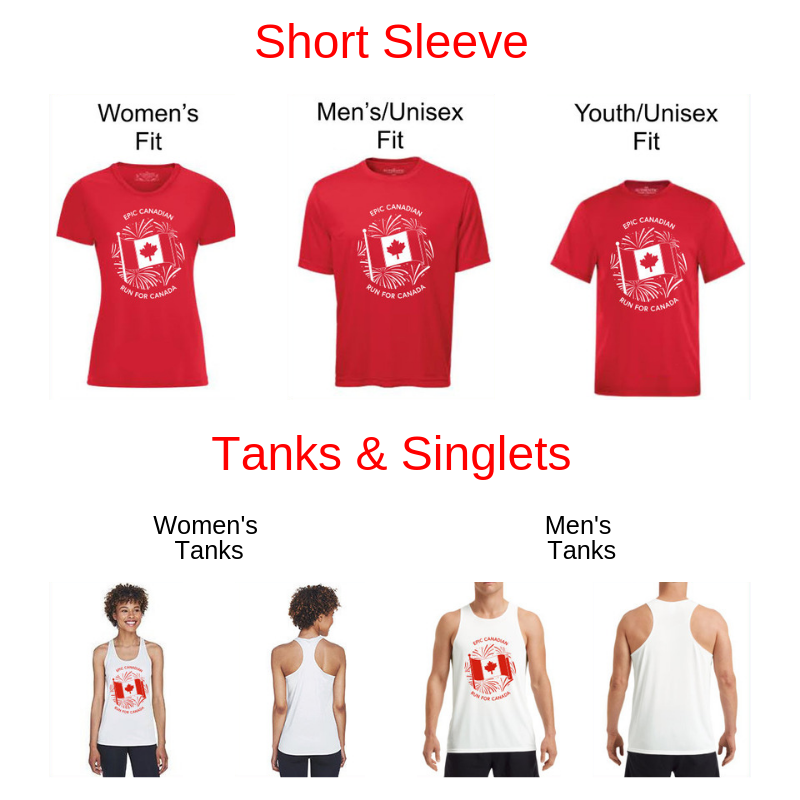 This left us faced with a choice to be a Canadian themed event *not* actually on Canada Day, or being able to celebrate the joy of running, walking, and Active Living on Canada Day itself. Based on feedback from our participants, we have opted to let go of the weekend format for the next group of years, keeping our two largest races, The Maple Leaf 10K, and The Canadian 5K, celebrated directly on our country’s birthday, Canada Day, July 1st. 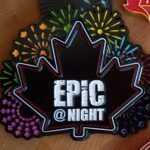 Where is the Epic Canadian Run for Canada? 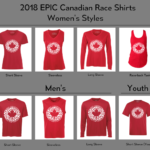 The 2019 EPIC Canadian Run For Canada events are again hosted at Grahams Grove Park on the shores of Lake Banook in Dartmouth. However, if you select to participate VIRTUALLY then the race is wherever you are! What are the different ways to earn one of the C-A-N-A-D-A medals? 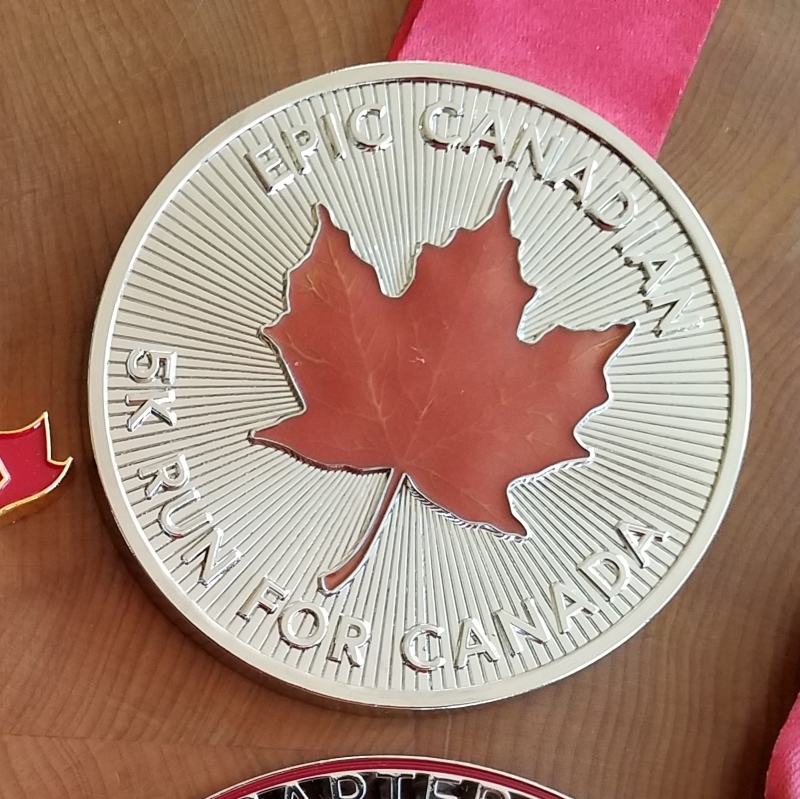 Earning each CANADA medal is a special achievement, and we wanted to find a way to be as inclusive as possible, giving every participant a chance to partake, even if they are new to running, or need to spread their two events out over more than a single day. 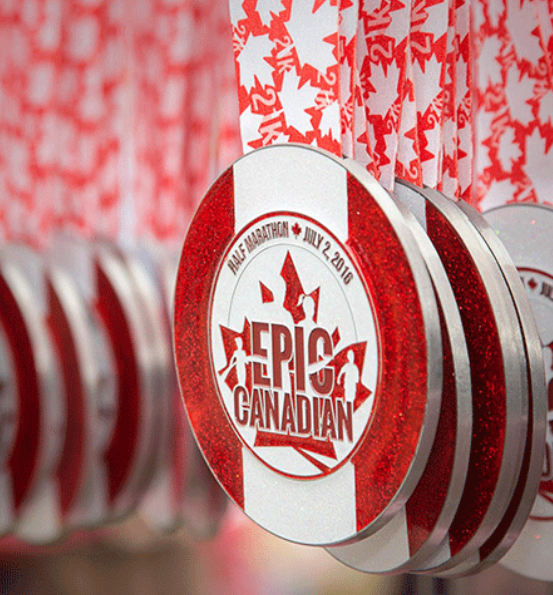 To address this need, we have added CANADA Medals Catch Up VIRTUAL RUN registration options that will allow a 2019 participant to complete their EPIC Canadian distances on their own to earn the C or A medal. So you can earn the “A” medal of 2019 by participating in the 2019 EPIC Double-In-A-Day. Your participation in that Double can be doing both races in Dartmouth, doing both ways away from Dartmouth or doing one event in Dartmouth and the other virtually. Alternatively, you can participate in one of the Canada Medals Catch Up Virtual Runs (registration link is on the regular Epic Canadian Registration page) described above. Because this year’s event falls on our National holiday you will find most businesses closed and you will be able to park across the street from our race site and there is also ample street parking. Just don’t try to park on the Epic Canadian Race for Canada course as it will be closed to parking. What is the EPIC Double-In-A-Day? 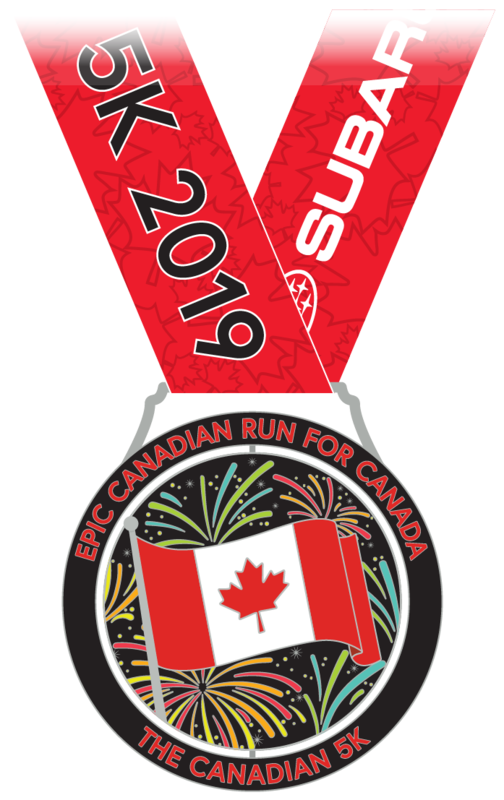 EPIC pioneered this race format within Canada in 2014, and it is two distances, back-to-back, 90 minutes apart, for a total of 15K. By participating in this category you have the challenge of posting your best total time for the 15K distance as well. 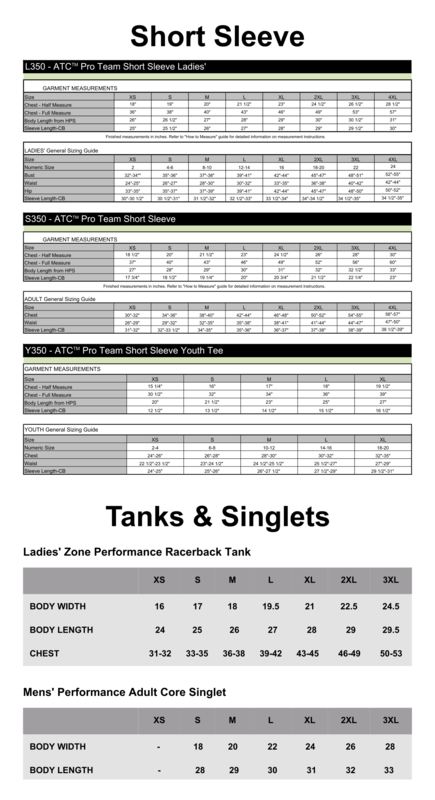 5K, 10K, 15K – your choice! What is the Goodr EPIC Double-In-A-Day? 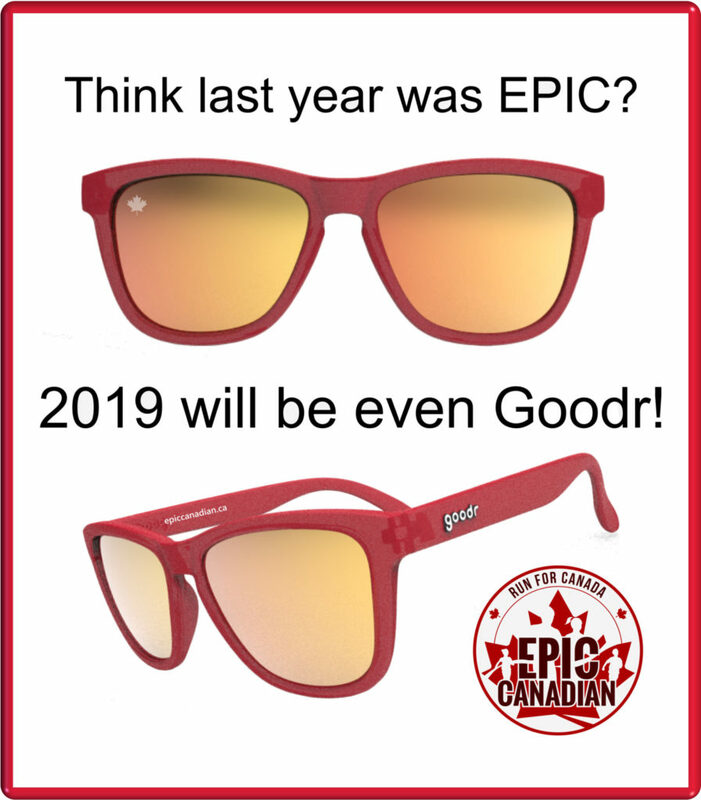 In addition to our usual Double-In-A-Day category featuring one shirt, two races and three medals, the EPIC Goodr Double-In-A-Day adds a custom designed pair of Epic Canadian Goodr sunglasses to the race kit. These are the very same, insanely popular polarized, no-bounce sunglasses that have become the running world’s most regarded piece of gear. 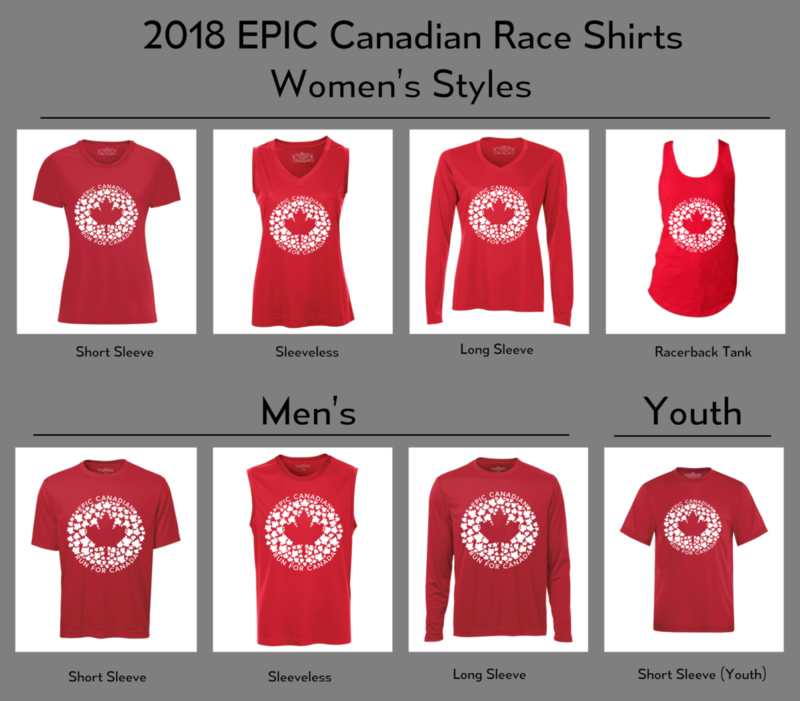 What are the details to race VIRTUALLY at Epic Canadian Run for Canada? Registration is on the same page as our event in Dartmouth but you are able to participate VIRTUALLY from anywhere in the world. 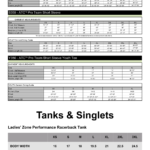 After you select your choice of distance(s), please select and add the correct shipping option on the next page – that is how we will know your race kit is to be shipped! We ship the Virtual Kits the week of June 10th, so while we cannot guarantee that you will have your virtual race kits on July 1st, it is our expectation that you will. How do I register if I plan to participate in one race onsite and one race virtually? 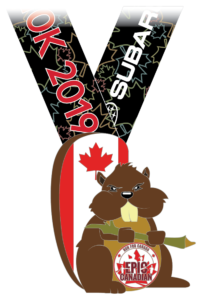 If you are doing one or more of your events in Dartmouth, register for the race site and you can do your virtual event before or after the event but you will get your medal on July 1st when you get your race kit. 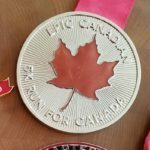 What does Epic Canadian Run For Canada support? 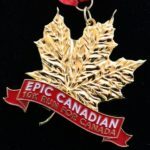 Did you know the EPIC Weekend has raised over $150,000 for Registered Canadian Charities including Cystic Fibrosis Canada, Terry Fox Foundation and JDRF (“Juvenile Diabetes Research Foundation”). While Epic has had a huge impact nationally, they also help locally through donations to: Kiwanis Club of Dartmouth, Girls Gone Gazelle Run Club, Dartmouth Crusaders and $15,000 to elementary schools in Dartmouth.